The Higher Education Opportunity Act of 2008 (HEOA) requires that postsecondary institutions participating in federal student aid programs make certain disclosures to students. 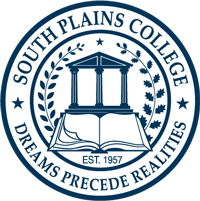 The following information is disclosed to you as a student at South Plains College in compliance with federal law. For additional information, including requesting a paper copy of any of the materials, please visit the indicated websites, or contact the appropriate office directly.